There are still two long weeks leading up to the election. And that means fourteen more days full of campaign ads. Image by Cory M. Grenier. Some rights reserved. The authors go on to outline pending revisions to regulations of “coordinated communications” and how they will further change the course of campaign finance. But these changes won’t affect what’s on the air: the revisions do not go effective until December 1. 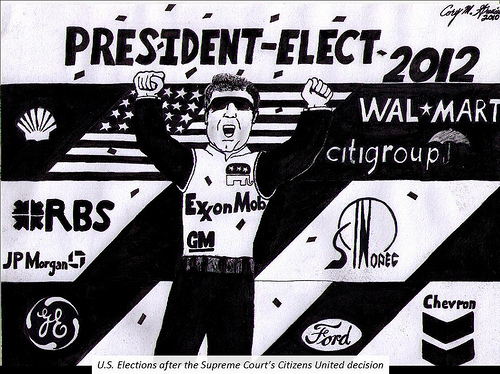 We have 51 (and counting) law firm memos that discuss the Citizens United case. Find them with our Law Firm Memos search.